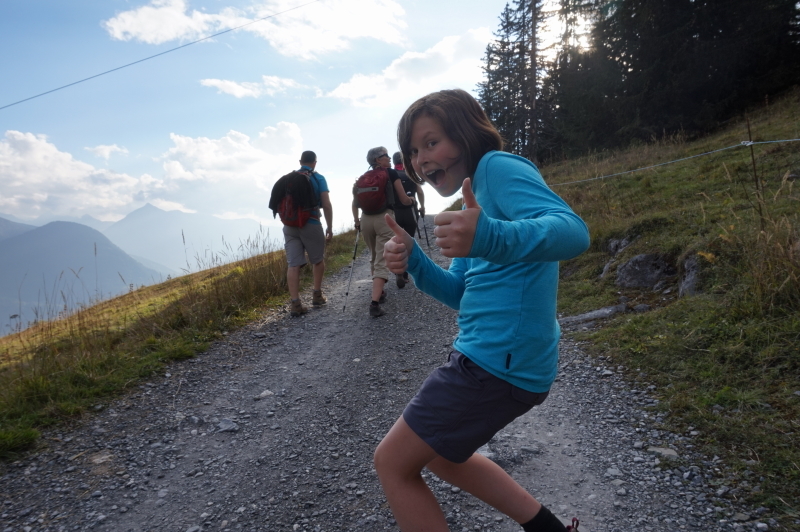 Climb Every Mountain | Hello Cool World! 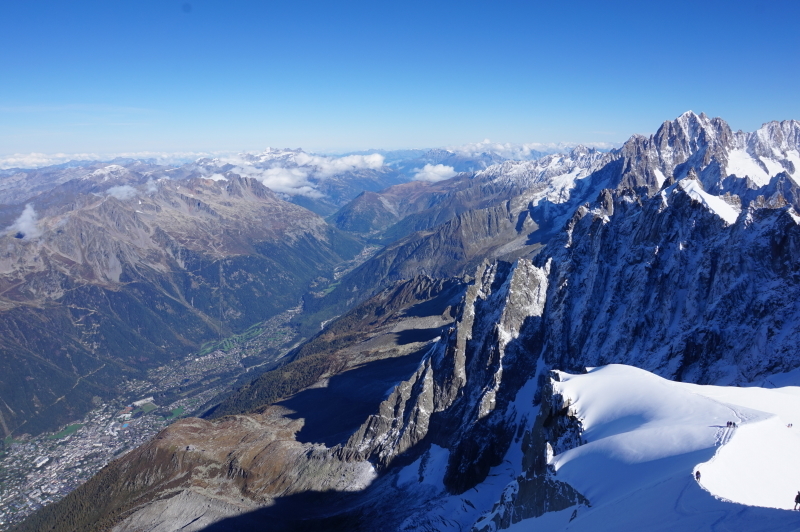 It’s not every day you come across a Bollywood film shoot (or in this case Tollywood), but truly the last place on Earth we would have expected it would be at the top of the 3,842 metre Aiguille de Midi, in the shadow of Mont Blanc. 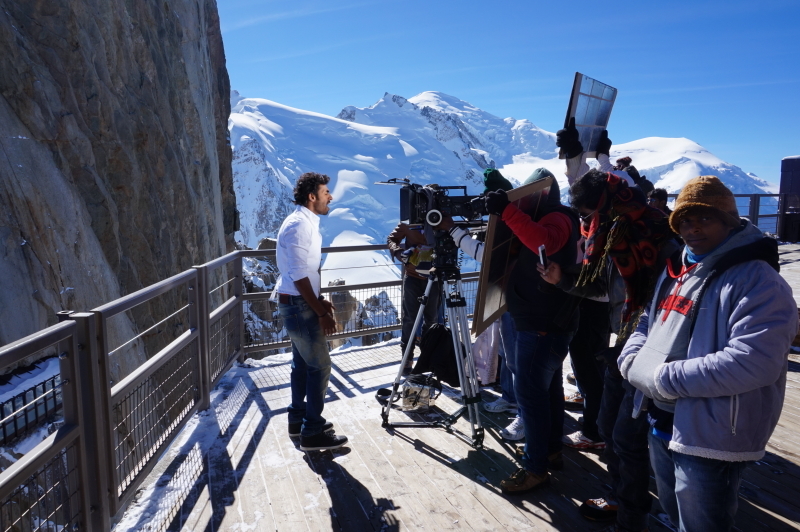 Look for “Siddhartha: give me a break” early in 2015, starring the very hot (and chilly) Vinay Rajkumar. 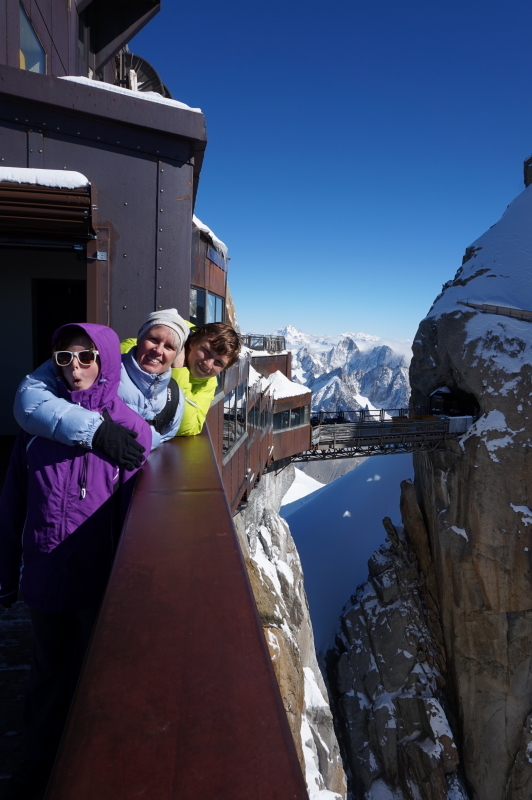 It’s fair to say that after the most incredible month of travelling around France, nothing took our breath away quite like the cable ride up to the observation tower and the spectacular view of the Alps and the town of Chamonix below. 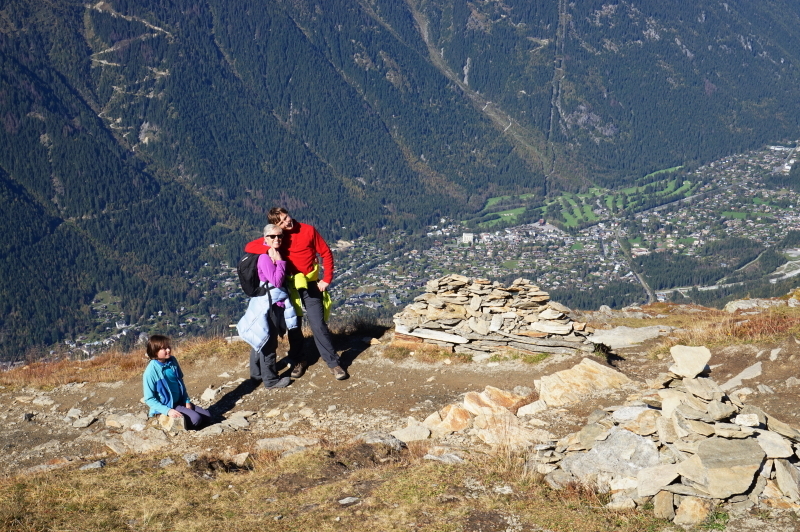 The long hike down from the midpoint station. 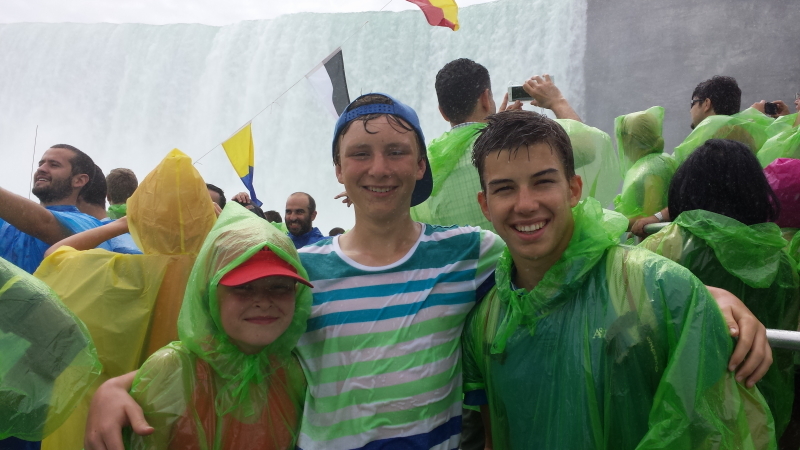 With Adrien at Niagara Falls earlier this year. 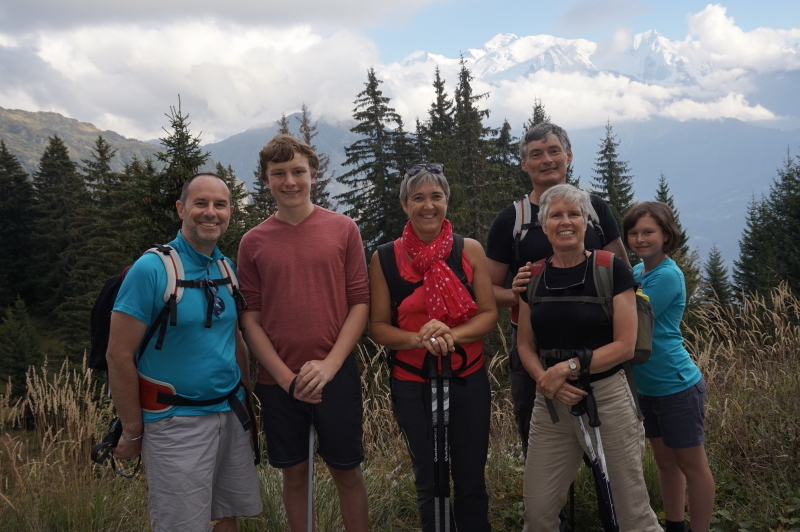 During our three days in the Alps, we were hosted in the town of Sallanches by la famille Marcadier (Richard, Anne, Maxime, Adrien, and Mathilde), world travelers themselves and Servas hosts. 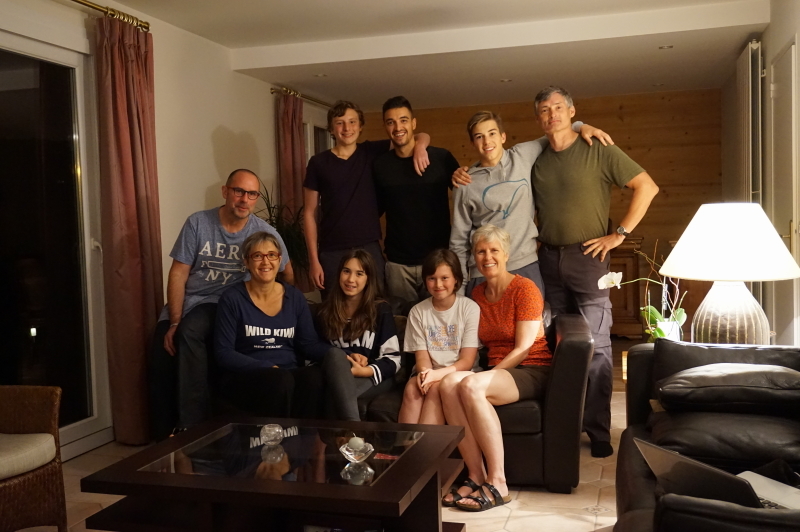 We had already hosted their son, Adrien, for a few days earlier in the summer. 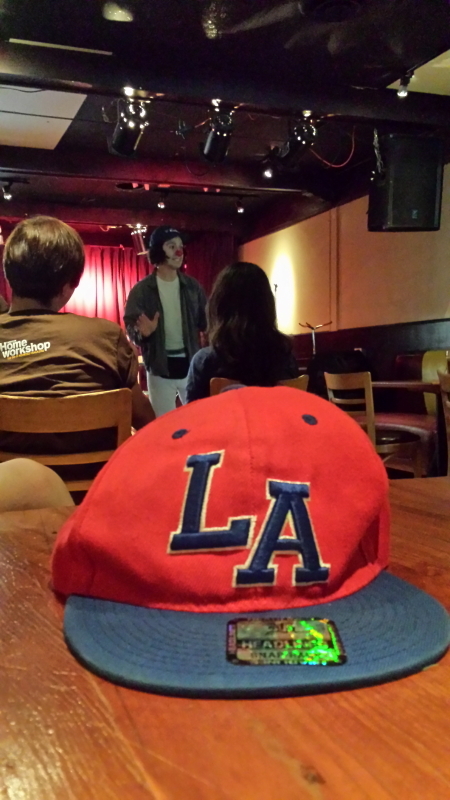 Adrien had left his prized baseball cap at our place, and after a few adventures along the way we were able to return it to him in almost mint condition. On the road with the cap. 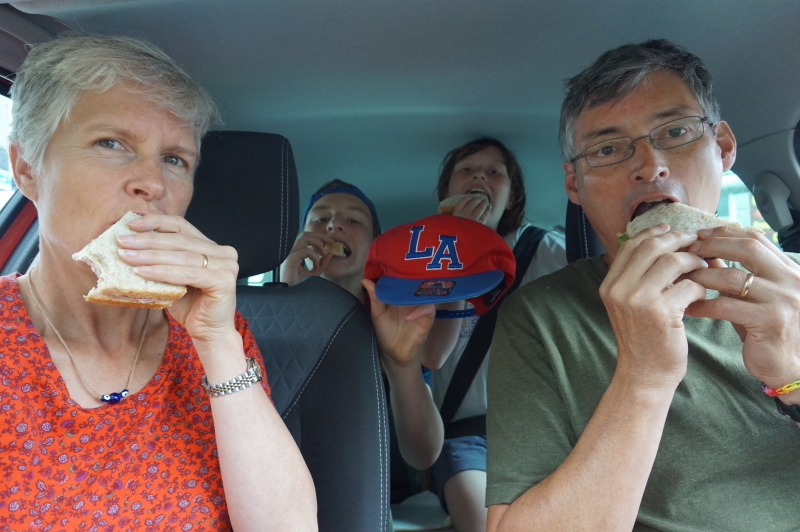 We’re told the French never eat and drive! 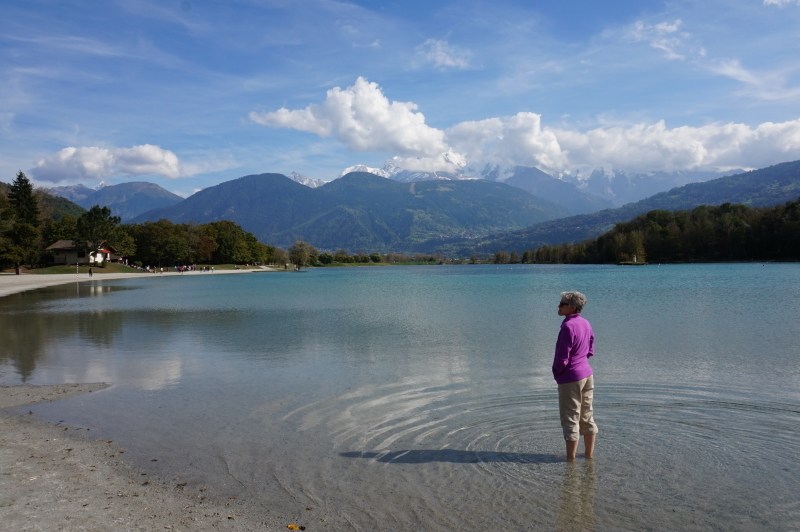 Our time in Sallanches was magical. Aran and Eva went to Mathilde’s school on the Friday and were treated like visiting stars. 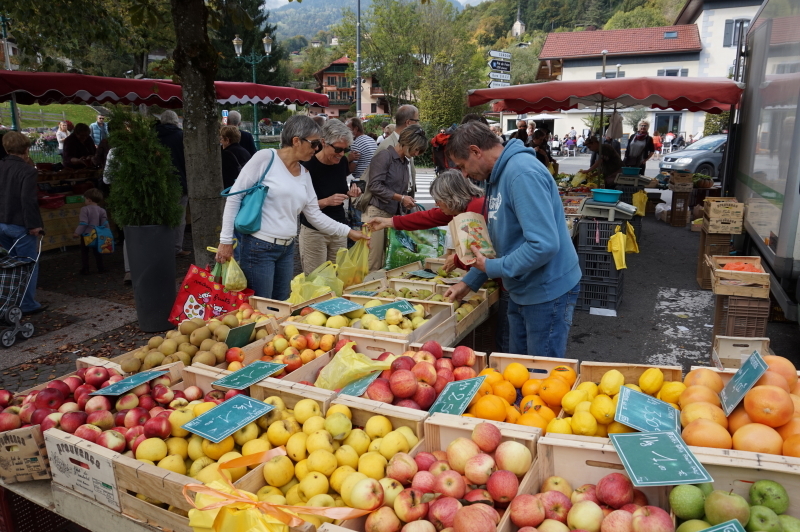 We took in the local market, went for a hike in the mountains, celebrated Nancy’s birthday, and ate the most magnificent tomato and cheese fondue we have ever tasted. Imagine, dear friends back home, going to the Thin Blue Line to order two big bags of Emmenthal and Comté for a fondue for ten. We had definitely arrived in cheese heaven! 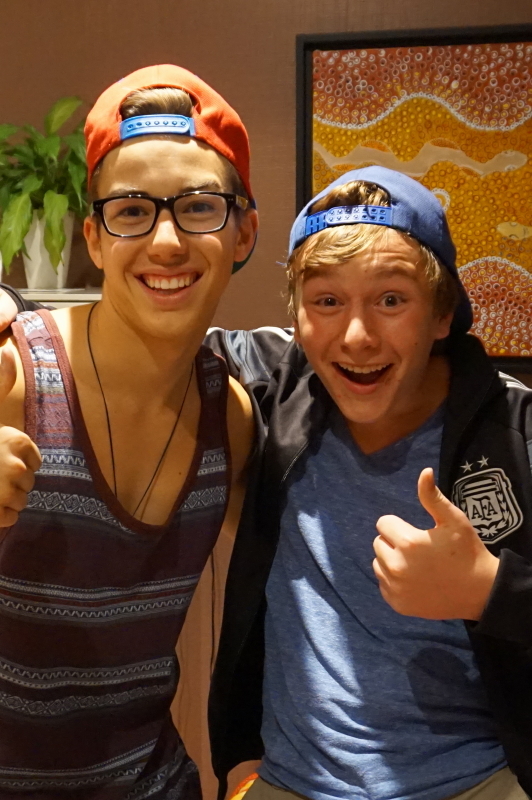 No more words – only pictures can describe our time here! 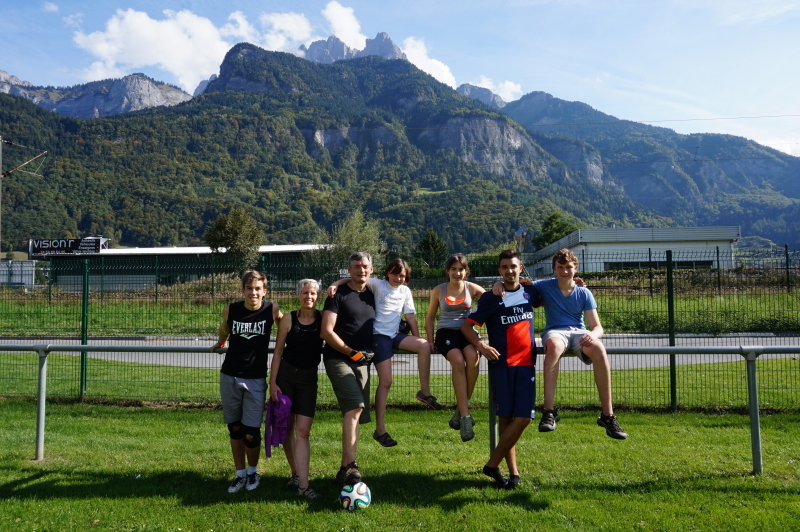 Equipe France demolished Team Canada in soccer, but couldn’t figure out Ultimate. With les Marcadiers: Richard, Anne, Mathilde, Maxime, and Adrien. 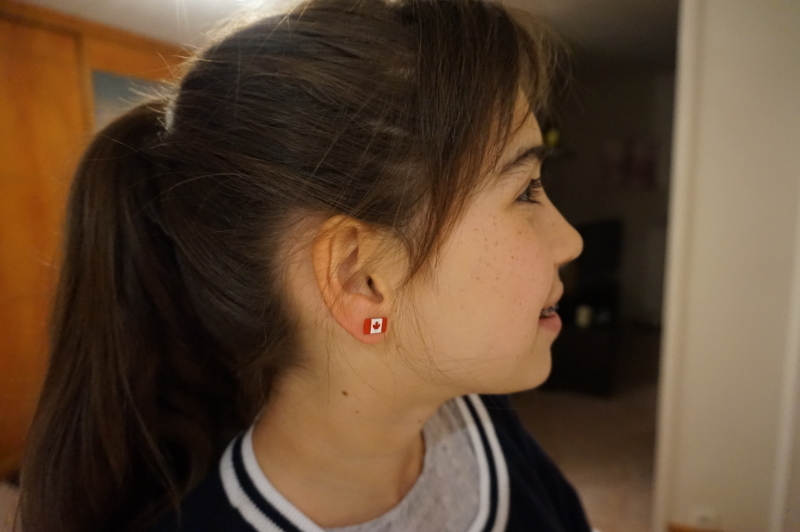 Mathilde: best use of a Canada pin. Our time in France has come to an end. Such great memories and new friends! I love your stories. You both have a real gift. Nancy, exciting how you were able to relive your cycling journey in the Alps. 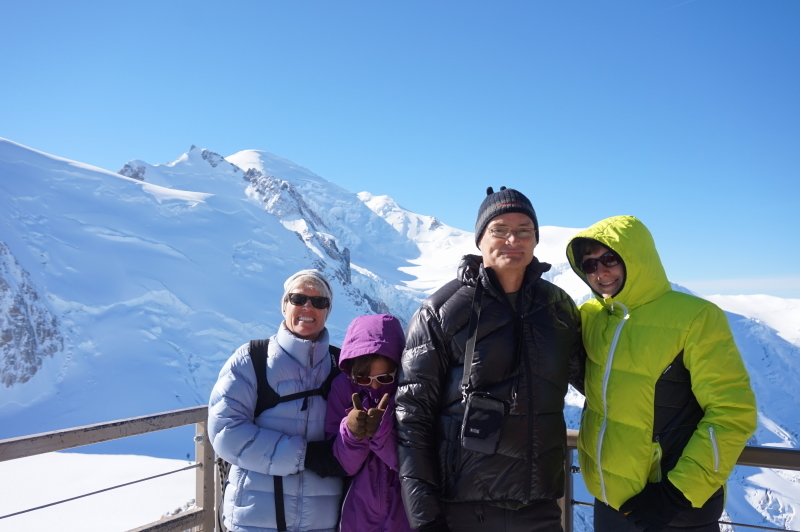 I feel like I am reliving my hiking trip in Mt Blanc and remember how I had to walk sideways after hiking 8 hours down Mt. Blanc near St Gervais. 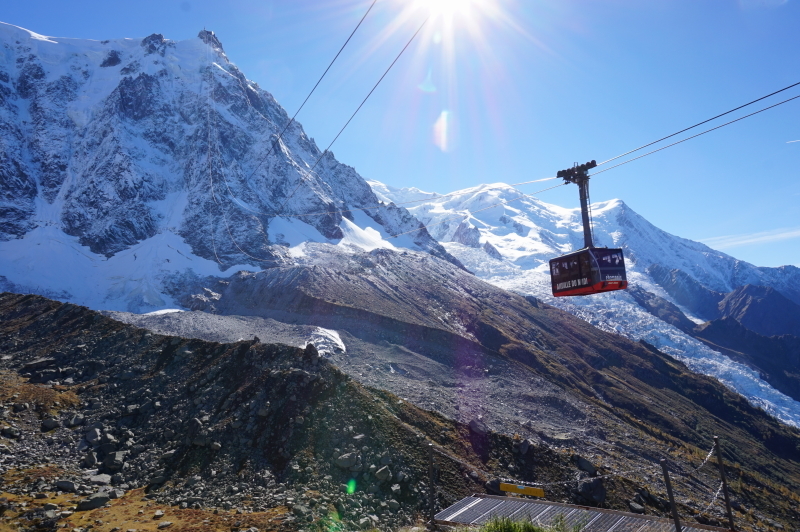 And another trip up and over the hills from St Gervais to Chamonix (just take this hill and that hill and into this valley and eventually you will get there). What a wonderful adventure for all of you. Thanks for sharing.